Our third and final Welsh Women’s organisation is Chwarae Teg. They have been helping women uphold their rights in the workplace since 1992 by striving to deliver their vision for ‘a Wales where women achieve and prosper’. 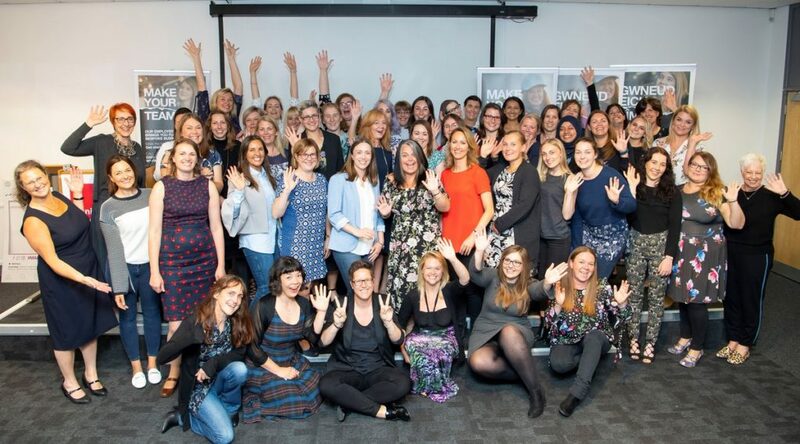 We wanted to take a closer look at one of their current projects – Agile Nation 2 – and how it is empowering Welsh women to progress in their careers. Hayley Jones Dunne, who is overseeing the Agile Nation 2 project, comments that “confidence is the biggest barrier to women’s career progression.” For this reason, Agile Nation was developed to raise aspirations of women and upskill them in order to encourage them to progress in their careers. What do Chwarae Teg do? The project takes the form of a career development program that is fully-funded by the European Social Fund through the Welsh Government. This includes important evaluation sessions which enable women to identify their career goals, barriers, skills and potential, followed by a mixture of classrooms sessions and online learning to promote leadership skills and equip women with the necessary tools to reach their full potential. 2,921 women took part in the Agile Nation 1 project from 2009 to 2015, 349 of which progressed to more senior roles. As well as working to boost female confidence, Agile Nation educates businesses on the benefits of employing a diverse workforce. They argue that the world of work is changing, and employers need to think about the best way to meet the needs of customers in the future. For them, putting women in the best placed position to take advantage of these changing work environments is crucial in the fight for gender equality. Polly Winn from Chwarae Teg refers to recent positive change in terms of the “wider conversation that’s going on at the moment about gender equality.” According to her, gender equality is being increasingly viewed not as just a ‘women’s issue’, and people are starting to realise that change won’t just happen on its own. View all posts by Amy Rosenbaum. Campaigners for a people's vote have launched new research, claiming women will be adversely affected by Brexit.